1. 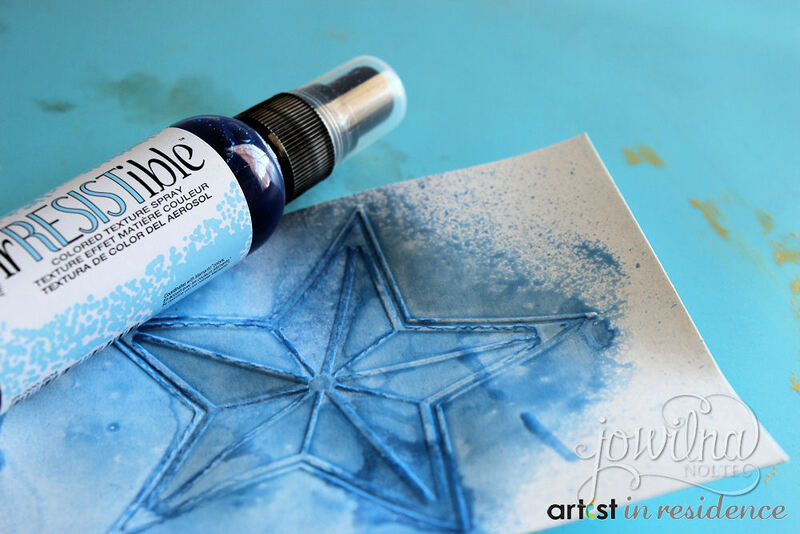 On smooth white cardstock emboss a star shape. Spray the star with irRESISTable Summer Sky and mist with water. Let dry and cut out the star. 2. Fold smooth white cardstock into card measuring 4×5″. 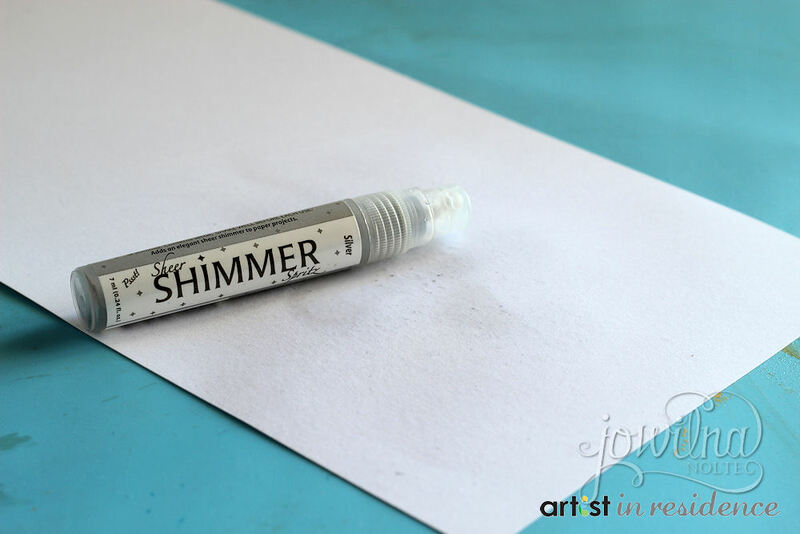 Mist the front of the card with Sheer Shimmer Silver Spritz. 3. 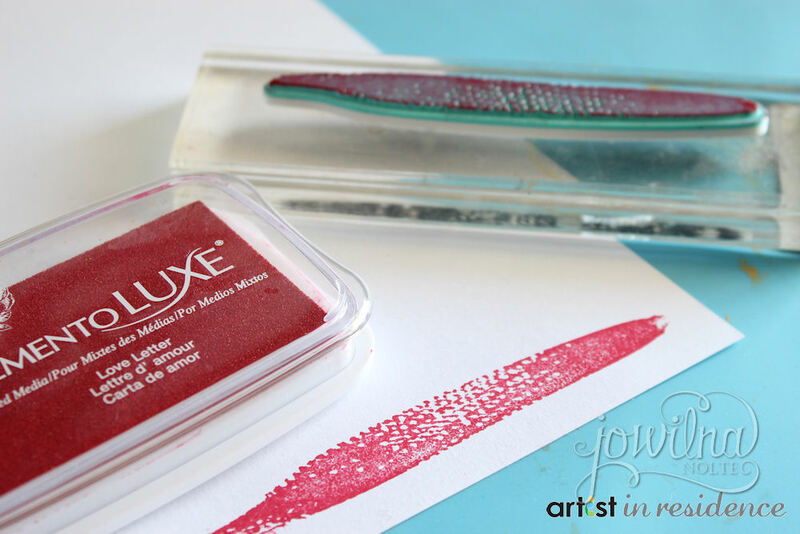 Stamp red brush strokes onto the misted silver shimmer background of the card using Memento Luxe. 4. 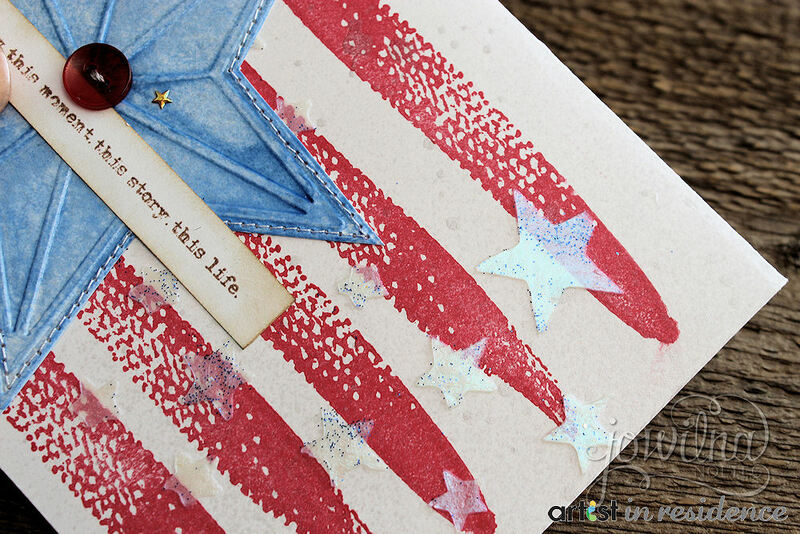 Use a stencil and palette knive and add Creative Medium Iridescent Turquoise scattered over the stamped red stripes. 5. 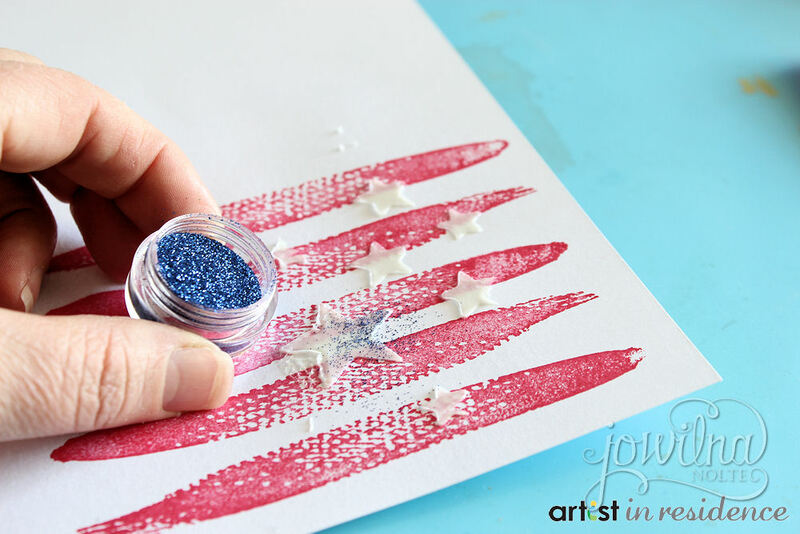 While the iridescent medium is still wet, lightly sprinkle navy blue glitter on top and let dry completely. 6. Adhere the blue star to the front of your card and stamp sentiment in Versafine Vintage Sepia and trim smaller. 7. 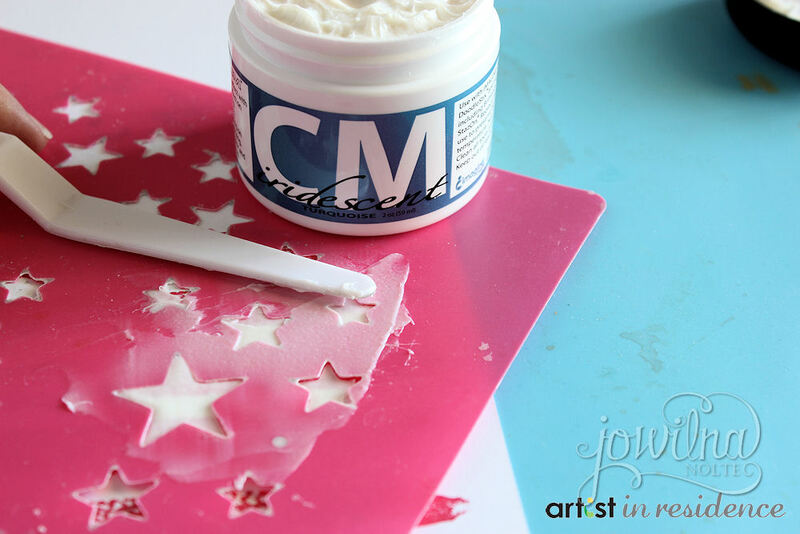 Add decorative sewing using a sewing machine to the star. 8. Add stamped sentiment, button and scattered gold confetti stars to finish off your card. The beautiful subtle shimmer of the Iridescent medium is clearly visible at an angle – it looks so amazing in real life. Smooth white cardstock: Antalis, Glitter: Chiswick, Stamp: Prima, Stencil: Typo, Star embossing folder: ProvoCraft Cuttlebug, Sentiment stamp: Ali Edwards, Confetti stars, sewing machine and button.